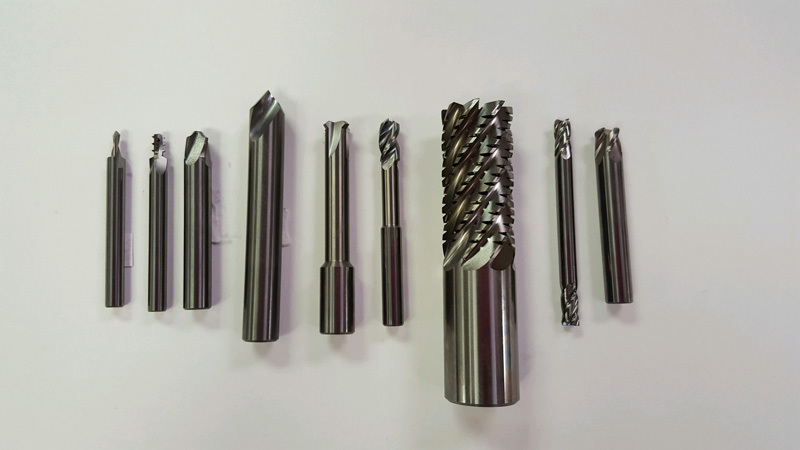 At Mcgregor MFG, we have the ability to manufacture and regrind most of our own milling cutters. The assortment of cutters below shows the wide range of operations that can be streamlined using this equipment. Most of the above cutters if needed are only an hour or two away from being produced and in service. The benefits are numerous to both McGregor MFG and the customer. Worn cutters are pulled out of service in a timely manner and reground. This improves part quality drastically. Machining processes and tools can be combined by using various types of multi function tools. On rush jobs, programing, fixturing and specialty cutters can be taken care of simultaneously for a quick turn around.